Due to customer demand, we have added select sizes of floor sizes in a white heavy gauge floor return. Find the right flooring adhesive for your installation! We now carry a full line of Karndean flooring adhesive and Prevail 3100 LVT flooring adhesive spray. Save with our affordable flat rate shipping! Since the 4th of July falls on a Tuesday this year, Installerstore Office's will be Closed Monday 7/3 and Tuesday 7/4. Father's Day is Sunday, June 18! Find one-of-a-kind, hilarious and inexpensive welcome mats that scream dad humor! Beer, gun, golf themed and more, find a funny door mat that will make your dad chuckle! We will be closed Monday, May 29 in observance of Memorial Day. 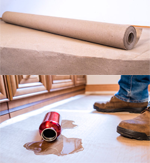 Economical floor protection paper available in standard Kraft Shield and Water Shield. Preferred alternatives to Red Rosin paper. Want to browse ALL available baseboard vents by the size you need, so you don't have to click around! Check out the Browse Baseboard Vents page by size on our website FloorRegisters-n-Vents.com. Blue window film protects windows against mortar stains, stucco, over sprays, residue and more! This temporary, self-adhesive protective window shield can be left on for 30-45 days. Roll size 24 inches x 600 feet. Heavy duty aluminum mop WITH microfiber cleaning and dusting pads! Large sizes of white round vent covers. Now you can find 10 inch, 12inch and 14 inch round ceiling diffusers at a great price! These hard-to-find round vent covers are sold with a damper or without a damper. Plastic decorative baseboard covers in an attractive Victorian design. Sold in a non-rust white, but the baseboard returns can be painted to match your decor! This promotional sale has ended. Please check back for future sales events! Looking for a decorative or wood return filter grille? Click on over to our sister site FloorRegisters-n-Vents.com where you can save 20% on Worth Premier Wood Filter Grilles! Paint this pre-primed wood filter grille to match your walls! Economical brown rectangular baseboard returns by Shoemaker are available in 5 different sizes. Replace your existing dated baseboard returns with these attractive brown grilles! Humorous Welcome Mats Just Added to Our Inventory! We've just added 2 hilarious dog themed doormats to our extensive inventory! "Life is Better with Dogs" and "Shed Happens." Purchase these pet themed welcome mats for your home or as a gift for a loved one. Trying to sell your home or spruce up your home on a budget? Switch out your dull and dingy floor registers for our bright, beautiful decorative floor vents! Even a simple switch out of registers will make your room look more attractive. Our affordable luxury floor vents are available in many different finishes, designs and even plastic. You can even browse by which size you need! Update your space with Installerstore today! We are experiencing difficulties with our credit card processing system. The Amazon Payment and Paypal payment systems are working fine, if you would like to choose either of these methods to checkout. To finalize a credit card payment, please contact us during regular office hours of Monday-Friday 8:00 am - 5:00 pm CST. We apologize for any inconvenience this has caused, and we hope to have this resolved soon! 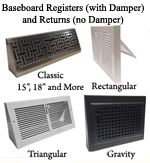 Hard-to-find vintage baseboard registers for gravity heating systems. These white gravity style baseboard registers are available in sizes 13x12 and 15x12. Need stocking stuffer ideas for adults? Purchase some of our smaller (but effective) items such as the 4oz concentrate of the trusted Bona Hardwood Floor Cleaner, or a 2oz spray bottle of the top seller stain remover TECH, or our line of furniture and wood floor repair products. Need other stocking stuffer ideas? Call our toll free line and our sales staff will be happy to help you! The votes have been counted and employee Marie's pumpkin carving was the winner! Thank you to all who participated in our 2015 Halloween Coupon Code Event! Check back often for other coupon code events and ways to save! It's that time again! Installerstore's annual Halloween Coupon Code event and employee carving contest! 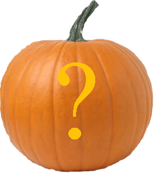 Vote for your fav employee's pumpkin carving by using their coupon code during checkout. Just Added! Decorative finished rectangular baseboard registers in select sizes! Choose from 8 different finishes included standard driftwood tan and designer finishes. The day turkeys invaded Installerstore.com! Check out the hilarious video of the turkeys and save with a Carpet Aid coupon code. Find the video and code HERE. 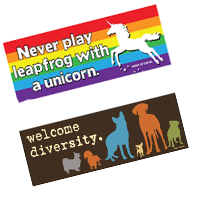 Check out the newest addition to our site, Funny Magnets! These hilarious car and fridge magnets make an inexpensive and GREAT gift idea. Just Added! Browse our full line of decorative and standard toe kick registers and vents on our Browse By Size page! Now that taxes are crossed off your to do list... Move onto Spring Cleaning! Tax time is over! Phew! Stock up on cleaners and accessories for all surfaces in your home. Don't forget about the Spring Cleaning Coupon Code! Now you can easily browse all styles of floor registers and returns available in the exact size you need! Try out our new Browse By Size page. Give her the gift she REALLY wants… Finishing the “Honey-Do” List. Dry Clean Carpets, Remove Crayon from Walls, Replace Floor Registers… OH MY! Don’t Fret, all the information you need to successfully conquer that list in a timely manner is provided in a post written on our blog. Check out the NEW beautiful, decorative floor and wall vents available in a WIDE variety of sizes. Made by the dependable manufacturer Hamilton Sinkler. Cast your vote on who will win the big game and SAVE! Use the corresponding coupon codes of your team choice to save 5% on your full order. HURRY! Codes expire 2/1/15. Glitsa Clean Wood Floor Cleaner is back on Installerstore.com! Purchase this classic wood floor cleaner in the economical concentrate formula: quart or gallon sized. Purchase this no-rinse effective cleaner today! 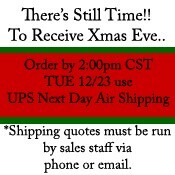 There is still time to receive select items on Christmas Eve! Please contact us for shipping rates and to ensure that we can ship the item express. Use your Amazon account to log in and pay for your items, without digging for your credit card or retyping your address. 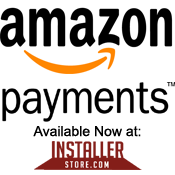 Log in and pay with Amazon for your next Installerstore.com order! 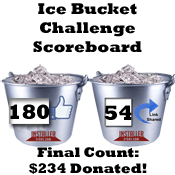 Installerstore.com completes the ALS Ice Bucket Challenge! For every share and like of our ice bucket challenge video, we'd donate $1. The likes and shares have been counted, and here is the final result! Thanks to the Installerstore staff members who participated and everyone who shared/liked the video on our Facebook Page! Tallies have been counted! Please see most next post/message for final count/donation. 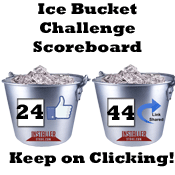 Installerstore.com completes the ALS Ice Bucket Challenge! For every share and like of this video through Labor Day, we'll donate $1 to the ALS Association up to $500! So Get Clicking! Round Decorative Wood Grilles Now Available! Now Available! Decorative round wood grilles in 25 different patterns! Stain or paint to match your decor. Finally find a round wall return with an attractive decorative pattern! Find this Pattern Cut Round Grill HERE. Check out our new Just for Kicks product category! Find hilarious gift ideas such as sarcastic drink coasters and funny t-shirts. Embarrassed to have backyard parties because of the efflorescence (salt deposits) on your concrete patio? Rush to plan your next cookout because Aqua Mix is here! This product effectively removes and inhibits growth from returning by using its unique EffEx EX-2 Technology. Find out more on this subject on our blog site. Voting has officially ended...Votes have been counted...And the winner is.... Sadie! Check out her winning photo and all the entries on our Facebook Page. Thank you to all who voted and submitted photos. Vote for YOUR favorite Bad Dog! Voting has ended - but check out the cute dogs anyways! The time has come... TO VOTE! Choose your favorite bad dog by "liking" their photo on Installerstore's Facebook page. The owner of the winning dog will receive a restoration prize pack for all future destruction. Visit our Facebook page to view all submissions,. But Hurry!! Voting ends Thursday 6/12, and the winner will be announced Friday 6/13. Bad Dog Photo Contest! Enter & Win! This contest has ended. To view the winning and all dog entries, please visit the link to our Facebook Page below. Everyone loves their dog, even when they completely destroy your couch or put big scratches in your hardwood floors. So why not use the bummer in order to win! Email a photo of your beloved pooch and the destruction they have caused, and you could win a prize pack! Check out our Facebook Page for all entries. NEW Solid Bronze Art Deco Floor Registers! JUST ADDED! Art Deco style solid floor registers in 3 beautiful finishes: Dark Bronze, Copper Bronze and Pewter Bronze. These cast bronze floor registers are available in sizes 3"x10" and 4"x10". A beautiful and durable addition to any home! Spring Cleaning Coupon Code Event! Through April, Save 5% on all items in our Floor Cleaner and Care category with our Spring Cleaning Coupon Code. But Hurry! Sale only through April! Check out the NEW Finished Floor Guard by Pro-Tect, a breathable floor protection for finished hardwood floors! Finally, a floor protection solution for finished hardwood stairs. Available in 24", 36" and 48" widths in 100' rolls. Use this breathable protection on tile, marble, granite and countertops! A must have for remodels and construction. Buy today! New convenient way to shop for floor registers. View all of the sizes and styles available for the exact size you need! A link to this great browsing page can be found on the main "Floor Registers" category page, or visit this link. You, our customers have voted and chose the Broncos as the likely victors of Super Bowl XLVIII. I am sure most Denver fans wished that was the real outcome of the game! Thanks to everyone who participated and check back for more GREAT coupon code events! It's Back! Choose who YOU think will win Super Bowl XLVIII and SAVE 5% on your order! Pick which NFL team you think is going to win the Super Bowl by using their corresponding coupon code during checkout. Check out the NEW Stone & Floor Care Products by Gundlach, just added to our site. Find great and affordable cleaner/care items from granite, marble, grout, and MUCH MORE! Find our full selection of Gundlach Floor Care items HERE. 'Tis The Season for Funny Gifts! It's gift giving season again, and why not give the gift of giggles this year? Find a FULL selection of funny doormats on our site. From pet and beer themed to just overall funny welcome mats! Affordable and hilarious! Find our full selection of funny door mats HERE. Congrats to our customer Leslie from Maryland! Her "trio of terror" pumpkin carvings were chosen by our staff as their favorite. Our customers have spoken, and they chose employee Marie's Kitty Kat carving as their favorite! By voting, each customer saved 9% on their entire order. Thank you to everyone who participated and be sure to check back next year for another Halloween sale and contest! Click HERE to view the winning pumpkins on our blog! Choose your favorite Installerstore employee's pumpkin carving and SAVE 9% on your entire order with their corresponding coupon code! But hurry! Coupon codes only valid through October! Here's your chance to win a great prize package from Installerstore! Just submit a photo of your pumpkin carving for a chance to win! It is that easy. Photos can be emailed to katie@installerstore.com or posted on our Facebook page. . Thanks For ANOTHER Great Coupon Code Event! Thanks to everyone who participated in our "School's In Session" coupon code event! Check back often for more opportunities to save. Exclusive discounts are often given to our newsletter subscribers. Don't delay - Sign up Today! A BIG Installerstore Thank You! Thank you to everyone who made our 2nd Annual Yard Sale a success! Don't forget to check back for other sales and promotions throughout the year. 5% off Coupon Code - Yard Sale Extravaganza! We're celebrating the last week of our annual Yard Sale Extravaganza by offering a 5% off coupon code good on ANY item on our site! Just enter the coupon code yardsale13 and instantly save 5% off the items in your cart! This means you can also save 5% off the already ridiculously low prices on Yard Sale items too!! Hurry and use the code today! Coupon code expires August 31! New LOWER Pricing on Johnsonite Cove Base! Check out the new LOWER pricing on the Johnsonite Vinyl Cove Base! 2 new options added to our already HUGE selection of Johnsonite Vinyl Base! We've added 2.5" height cove base AND toeless cove base. Check out the "Cove Base and Transition Strips" category on the left side or view it HERE. Yard Sale EXTENDED Through August! Ask and you shall receive! Our popular Yard Sale has been extended through the month of August. This gives you an extra month to save BIG on discontinued and overstock items. Hurry and purchase these items before they are gone forever! Yard Sale 2013 - Save BIG on select items! The time has come again for the Installerstore Yard Sale! HUGE markdowns on discontinued and overstock items. 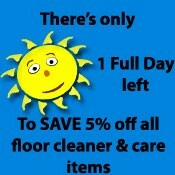 Floor Cleaners, Registers and more available at prices 50% off retail! But Hurry! Quantities are limited and sale ends July 31! Thanks to everyone who made our Spring Cleaning Coupon Code Sale a success! Keep periodically checking back for other awesome coupons and sales! Save 7% on all Cleaners and Cleaning Accessories with a special coupon code! Hurry! Code only valid during the month of April! New Sizes Available in Mission Floor Registers! Now you can purchase the sizes 2x12 and 8x10 in the Mission/Craftsman floor registers! Need a decorative wall register in the size 8x10?No problem! Simply purchase wall clips and convert the 8x10 Mission floor register to a wall register. Mission Floor Registers can be found HERE on our site. Call it luck of the Irish! Copper Registers on Sale! In honor of St. Patty's Day, save 17% on ALL Copper Floor Registers. No coupon code needed! Discount automatically applied during checkout. Copper floor registers available in the popular designs Contemporary, Victorian and Craftsman / Mission. But hurry! Sale through March only. Purchase any Bona brand floor care product and receive a FREE Bona 4 x 15 Dusting Mop Pad! No coupon code needed! Thanks to everyone who participated in our Free Kalle Cleaning Cloth special offer! Hopefully the cloths came in handy when using your favorite Installerstore Cleaner or Floor Care Product! Keep checking back for more GREAT special offers offered by Installerstore.com! Installerstore Give the Gift Of Giggles Sale! Now through December save 5% on all Funny Door Mats! Subscribe to Newsletter Emails for promotion codes and new product information.